Freighter Resurgence - in Full Swing Again? It’s not that long ago that the industry was looking at the demise of some freighter carriers and the stagnating number of orders for new medium and long-haul freighter aircraft. The picture has changed during the past twelve months with what one could term as the “resur-gence of freighter operations“ around the world. It is estimated that at the end of last year there were almost 2.700 freighter aircraft of all types and sizes in operation. This, according to statistics was just about a hundred freighters more that in 2016. Admittedly, many of these aircraft, mainly smaller freighters, have been in the air for up to 40 years or more. So where is the increase coming from. Undoubtedly, new orders for the B777F and B767F to cope for the continued demand for capacity. The integrators and express companies, especially in China, have moved up another notch and alongside orders for new aircraft, are also buying up any and all types of passenger aircraft to be converted into freighters. On the other hand, some are warning that if the trade war scenario, specifically between China and the US continues, that there may well be a dramatic fall in demand for air freight in the near future. If so, that might mean that there would be a surplus of freighter capacity on the market. However, that’s not the case at the moment - so far, so good! … so does Israel’s Bedek Aviation Group with B767s and other aircraft models. The number of new start-up cargo carriers during the past two years is on paper quite impressive. The question remains as to how many will still be in business in less than a decade from now. The postal service in China and express companies around the globe are growing faster than many had anticipated. They need to satisfy customers demands for speedy delivery. Therefore domestic or international operating freighters are in demand. The narrow body conversion market is booming, with many, not so old passenger aircraft from the Boeing 737 and Airbus A320 series being snapped up and converted in China, the USA and Israel. The Chinese use them mainly on the postal lines and domestic e-commerce traffic. There are also European operators looking for narrow body freighters in order to give the large integrators with bases in Europe more feeder capacity for their long-haul routes. Israel Aerospace Industries (IAI) is said to be ready to launch the first B777 passenger-to-freighter programme, thereby putting a 100 ton P2F on the market. IAI is said to already have its first customer on hand for this type. The wide-body freighter conversion programme as well as orders for new aircraft from Boeing is in full swing with the B767F leading the way. It always pays off when operators can offer a fast service to their clients. 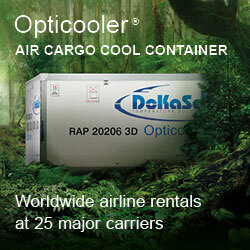 This fact has become all the more important in today’s air cargo world. 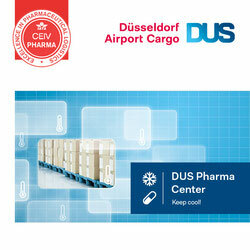 Temperature sensitive goods such as pharmaceuticals, flowers, fruit & veg need speedy transport modes and shippers need aircraft which are reliable and don’t suffer many technical mishaps. The same goes for the e-commerce traffic which we all know is the future for air freight. Door-to-door within a maximum of 72 hours, preferably 48 hours is now becoming a daily reality. You can’t do that with ocean vessels, so freighters and reliable belly load operations become more important. Then - there is still a good future for the freighter world, but let’s keep a wary eye on world trade developments in the coming months.